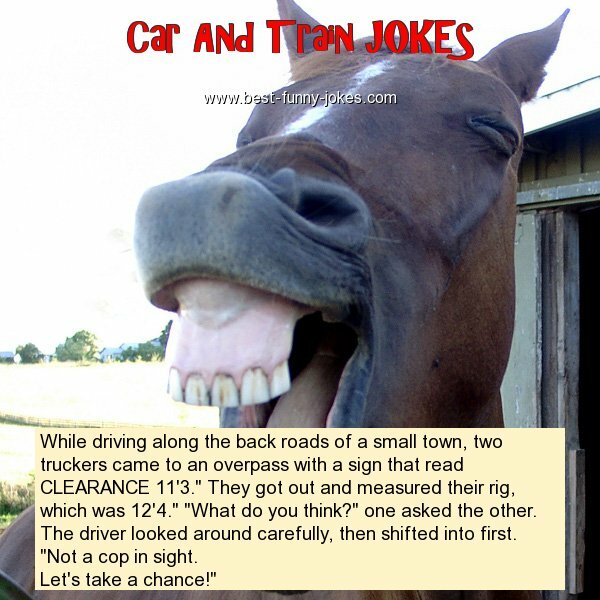 While driving along the back roads of a small town, two truckers came to an overpass with a sign that read CLEARANCE 11'3." They got out and measured their rig, which was 12'4." "What do you think?" one asked the other. "Not a cop in sight.